A 14-part mini-series created for West German TV, 1980’s Berlin Alexanderplatz comes from Alfred Döblin’s 1929 novel. Set in 1928, Franz Biberkopf (Günter Lamprecht) serves four years in prison due to murder of his girlfriend Ida (Barbara Valentin). With this brutality in his past, Franz desires to walk the straight and narrow. Inevitably, this proves difficult for Franz. While he struggles with temptation, he finds himself drawn into the seedy elements that snared him in the past as well as a mix of other relationships. On the back cover of this Criterion release, we hear Berlin referred to as “controversial”. The text doesn’t tell us more than that, so I don’t know what particular aspect of the mini-series created a furor. As far as I can tell, the biggest “controversy” here relates to the decision to waste 15 hours of film on such a relentlessly dull story. Good God, does Berlin fill a lot of space with very little actual content. Döblin’s original novel received a lot of praise, and I can sense this story probably fares better in the text format. Try as it might, the film can’t convey the character depth that it desires, as these attempts simply feel monotonous and bland. For a working class ex-con, Franz sure does pontificate and muse philosophical an awful lot of the time. Again, this might work as a literary technique, but as depicted in the more literal world of the TV screen, it becomes too big a leap to take. As are other aspects of Berlin. It seems like every woman in town craves dumpy, dopey Franz for sexual gratification, and this makes no logical sense. Maybe it’s not supposed to, as perhaps the film wants this to be another leap for the viewer to take. If so, Berlin fails to convey that notion well, so we’re simply left with a world in which Franz seems to be the Ryan Gosling of late 1920s Germany. The greater problem stems from the film’s running time. The source novel ran under 500 pages, so it didn’t offer a tremendously long text. I don’t know how faithfully the mini-series reproduces the book, but it feels like writer/director Rainer Werner Fassbinder committed every aspect of the novel to the screen. This leads to a movie that progresses at an awfully slow pace. The first three hours of Berlin just show Franz’s attempts to get back on his feet. This extremely long process of potential rehabilitation might work if we got real character development, but instead, the material simply feels monotonous. Franz finally dips his toe in the underworld around Hour Five, but the pace doesn’t improve from there. Berlin remains painfully light on actual narrative movement or drama, and that barely changes over the subsequent 10 hours. If you look at Berlin from a distance, you can see its character and story progression. However, matters move so glacially that you never feel any changes along the way. That’s a bad recipe for drama, and it doesn’t help that many scenes threaten to go on forever. We get superfluous nonsense like Franz and Mieze as they play together, material that should never make the film in the first place. Even if these sequences get included, they should wrap up pretty quickly, but they don’t. Instead, we see these pointless segments span far past the point of viewer annoyance. If we gave two hoots about Franz or any of the others, the slowness might become more tolerable. Unfortunately, Berlin fails to develop any of the characters into compelling, interesting subjects, so we find ourselves completely bored with their tedious lives. And then there’s the series’ bizarre musical score, one that never seems to match the material. It feels oddly cloying much of the time, but then it’ll go urgent and insistent in quiet character moments. Perhaps the composer figured a strident score might at least keep the viewer awake. Good luck with that! Shouldn’t the story of an ex-con who exists on the fringes of society come with a lot of drama? Instead, Berlin feels bound and determined to avoid as much intrigue as possible. Essentially we find 15 hours of people who drink a lot of coffee and mull over the Human Condition. Berlin feels like a parody of pretentious filmmaking that becomes nothing more than a painful endurance test. Berlin Alexanderplatz appears in an aspect ratio of approximately 1.37:1 on this Blu-ray Disc. Shot on 16mm film, this tended to be an unattractive presentation. How much of the unappealing visuals stemmed from the original photography or from deterioration in the source remained unclear to me. Given the 16mm photography, Berlin started out with inevitable issues. In addition, even though the film wasn’t shot that long ago, apparently the negative went downhill quickly. That necessitated a restoration effort in 2006. Whatever the circumstances, I can say that Berlin offered consistently bland visuals, without any obvious strengths on display. Sharpness appeared generally decent, as the image usually gave us acceptable delineation. However, softness became a factor in wider shots, and heavy grain diminished clarity as well. Berlin offered a seriously grainy film much of the time, and that impacted the overall presentation. No obvious signs of jagged edges or moiré effects appeared, and edge haloes remained absent. Print flaws largely remained absent, but occasional instances of small specks or lines popped up at times. In terms of colors, Berlin opted for a palette that heavily favored a yellow/sepia look. The hues felt bland and lackluster. Blacks seemed acceptably dark, but shadows could become somewhat dense and muddy. While I suspect Criterion did the best they could with the source, this nonetheless became a less than appealing presentation. Similar thoughts greeted the wholly average DTS-HD MA monaural soundtrack of Berlin, as it failed to make a positive impact. That said, it worked fine given its age and origins, with music that seemed reasonably robust and concise. Effects could be a little shrill at times, but they usually seemed fairly accurate. Dialogue also mainly felt well-reproduced, despite some reedy lines at times. Nothing here impressed but the mix was adequate for the material. All the package’s extras appear on a fourth disc, and these open with a documentary called A Mega Movie And Its Story. This one-hour, five-minute, 10-second program brings notes from costume designer Barbara Baum, artistic collaborator Harry Baer, line producer Dieter Minx, producer Günter Rohrbach, director of photography Xaver Schwarzenberger, critic Wolfram Schutte, MOMA Department of Film curator Laurence Kardish, editor Juliane Lorenz and actors Hanna Schygulla, Günter Lamprecht, Gottfried John, and Barbara Sukowa. We also hear from late director Rainer Werner Fassbinder circa 1979. “Story” looks at story/characters, cast and performances, costumes, sets and locations, photography, and reactions to the film. “Story” offers some good moments – especially when we see behind the scenes footage from the shoot – but it’s a bit too scattershot to tell a coherent tale of the production. With Notes on the Making of Berlin Alexanderplatz, we get a documentary shot in 1979. It runs 44 minutes, 10 seconds and mainly focuses on behind the scenes footage from the set. A narrator provides notes about the production and the source novel, but the material from the shoot remains the biggest draw. I like the ability to get a candid view of the set and think this becomes an enjoyable program. For a look at technical elements, we go to the 31-minute, 58-second Notes on the Restoration. Here we find comments from Schwarzenberger, Rohrbach, Fassbinder Foundation director Juliane Lorenz and restoration crew members Josef Reidinger, Steven Stuaert, Sueda Yamac, Alexander Klippe, Bianca Stumpf, Michael Welzel, and Bettina Winter. As expected, we get details about the methods use to improve the picture and audio of Berlin. Some of this proves interesting, but at more than a half-hour, “Notes” goes on too long. Next we get the 1931 Version of Berlin Alexanderplatz. This film goes for one hour, 23 minutes, 56 seconds and comes from a screenplay written by original novelist Alfred Döblin himself. Given that it runs 822 minutes shorter than the 1980 version, one obviously can assume that the 1931 film omits a whole lot of story and character elements. The 1931 Berlin streamlines the tale to an extreme and brings a severely abbreviated edition. The rapidity with which we careen through Berlin makes it more appealing than the paint-dry pace of the mini-series, but it doesn’t render an appealing take on the material. Shorn of everything other than the most basic plot points, this Berlin fails to provide a particularly coherent film. It’s interesting as a curiosity but it doesn’t turn into an effective movie. To finish Disc Four, we find an Interview with History Professor Peter Jelavich. Recorded in 2007, this 23-minute, 54-second chat discusses the source novel, themes, history and adaptations. Jelavich brings a nice overview of the book and its subsequent life. The package also includes a booklet. It provides an essay from filmmaker Tom Tykwer, discussions of the novel from Fassbinder and author Thomas Steinfeld, and a chat with Schwarzenberger. 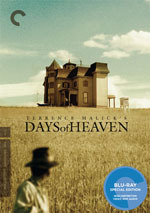 It becomes one of Criterion’s better booklets. 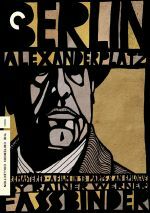 With 15 hours at its disposal, one might expect Berlin Alexanderplatz to present a rich, dynamic character drama. Instead, the mini-series offers a sluggish, dull, and largely pointless exploration of how much tedium a viewer can tolerate. The Blu-rays come with mediocre visuals and audio as well as a fairly positive package of supplements. I can’t believe I wasted 15 hours of my life on this nonsense.